…”Haus Christa” is situated in the picturesque village of Selva-Wolkenstein. 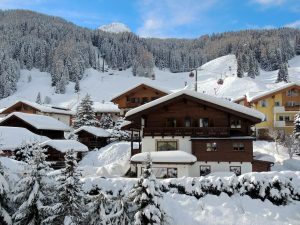 This family run chalet is peacefully located in the heart of the Dolomites yet close to the centre of the village and all its amenities. Ideal for a holiday where you can be invigorated or rejuvenated!